For many, the Halloween season is all about costumes, candy, and carving. Pumpkin carving, to be specific. Our team saw this as a chance to engage a difficult-to-reach group—our Nation’s men and women in uniform, and their families—while putting their carving skills to the test. And so began our search for the DoD’s best pumpkin carver. 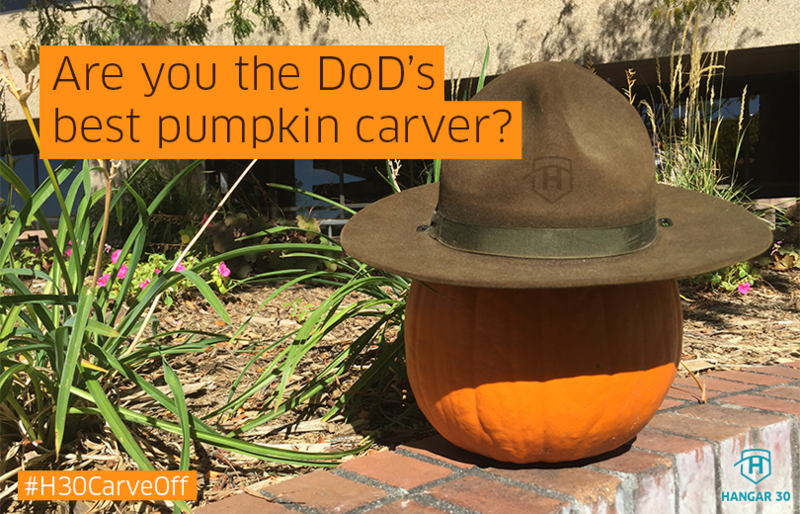 Entrants would be judged on their creativity, with bonus points awarded to military-themed pumpkins. The jack-o-lantern artists were competing for Amazon.com gift cards, but also bragging rights as the DoD’s (unofficial) greatest pumpkin carver. In accomplishing our goals, we delivered the contest exactly where our servicemembers and their families spend time online. The contest was developed and promoted almost exclusively on social channels, and entry was as easy as posting a photo of one’s pumpkin with a targeted, contest-specific hashtag. The winning pumpkin, submitted by Linda M of Iowa. At the contest’s conclusion, our staff gathered to view and judge our top entries. In the end, Linda M of Iowa’s touching tribute to her son won over our judges and scored our grand prize. Ultimately, we were impressed by the wide range of military-themed pumpkin photos we received. Additionally, as we look forward to the upcoming holiday season, the prizes and bragging rights awarded are but a small way for us to give back to those that make such a great sacrifice for our freedom.